HomePrivate: BlogBlogBlogActivitiesMUST SEE PLACES FOR ‘FIRST TIMERS’! MUST SEE PLACES FOR ‘FIRST TIMERS’! The Hidden Waterfall @ Tegenungan are an amazing experience and has quickly become one of the more popular tourist activities for those heading to Bali. With all the hustle and bustle of South Bali, it’s easy to forget that much of Bali is covered in green, lush rainforests, and hidden beauties like this. Tegenungan isn’t the only waterfall in Bali, some other amazing waterfalls can be seen here. Located in the heart of Kuta on Jl Kartika Plaza, directly across from Discovery Mall. Easy walking distance from Kuta Square and the major hotels along the Kuta Beach strip. If you are further out it is a simple taxi ride from all major centres. When you staying in Bali Garden Beach Resort it’s time to taste all the restaurants that build surrounding the resort. 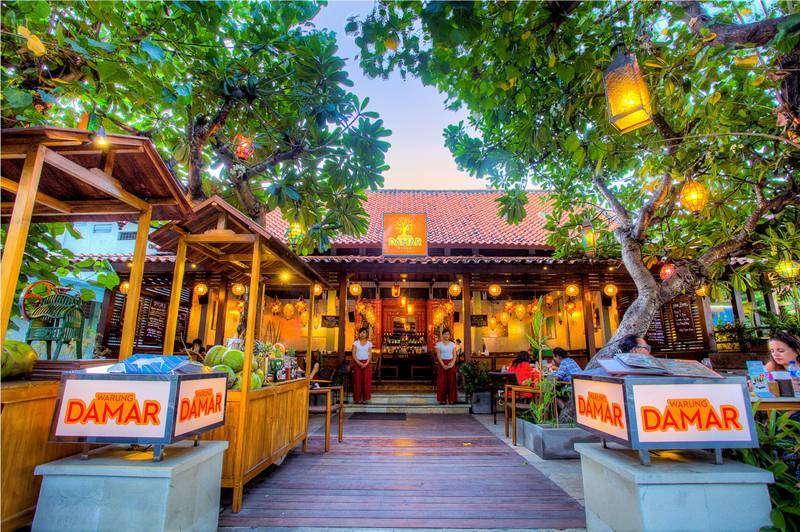 Boardwalk Restaurant with Sunset View is more offers fine authentic Mediterranean Cuisine, Warung Damar located in front of the Resort and offers selections of Indonesian food, Aribar Mexican Restaurant, Kabar Sport Bar with Sport Channel including AFL and NRL League. Karum will serve you with favorite curry dishes from Thai, Indonesia to India, Wokmie specialises in a selection of noodles, KopinKue on the street front of Bali Garden our coffee and cake shop and the last Tempio Restaurant authentic Italian Cuisine.